At present, a deduction upto Rs 10,000/- is allowed under section 80TTA to an assessee in respect of interest income from savings account. Finance Act 2018 inserted a new section 80TTB so as to allow a deduction upto Rs 50,000/- in respect of interest income from deposits held by senior citizens. However, no deduction under section 80TTA shall be allowed in these cases. Section 194A also been amended by Budget 2018 so as to raise the threshold for deduction of tax at source on interest income for senior citizens from Rs 10,000/- to Rs 50,000/-. This amendment takes effect, from 1st April, 2018. The deduction under section 80TTB is not available to non-resident senior citizen : Senior citizen has been specifically defined to means an individual resident in India with the age of 60 years or more. Therefore, non-resident senior citizens are outside the purview of this section. No Deduction u/s 80TTA ( Saving Bank interest) Section 80TTA provides for deduction of interest earned on deposits in saving accounts, in case of an individual and HUF, up to Rs.10, 000.Sub-section (1) of section 80TTA is amended to provide that the provision of this section will not apply to an assessee referred to in section 80TTB i.e. senior citizens.he amendment will take effect from April 1, 2019 and accordingly, it will apply to assessment year 2019-20 and subsequent assessment years. The word ‘deposits’ is not defined in the Section 80TTB . (i) Banking company to whom the Banking Regulation Act, 1949 applies. (ii) Any bank or banking institution referred in section 51 of the Banking Regulation Act. (iii) A Co-operative society engaged in Banking business. (iv) Co-operative land mortgaged bank. (v) Co-operative land development bank. (vi) Post office defined in section 2(k) of the Indian Post Office Act, 1898. Deduction in respect of interest on deposits in case of senior citizens. Explanation.—For the purposes of this section, “senior citizen” means an individual resident in India who is of the age of sixty years or more at any time during the relevant previous year.’. Clause 29 of the Bill seeks to amend section 80TTA of the Income-tax Act relating to deduction in respect of interest on deposits in savings account. 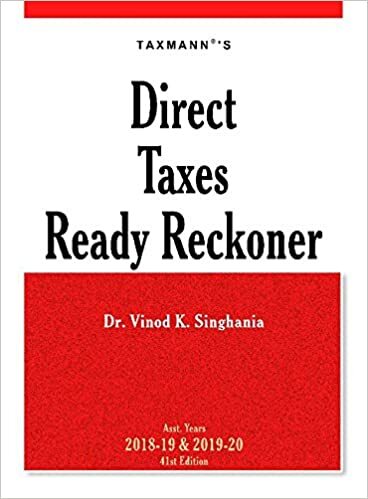 The said section, inter alia, provides that where the gross total income of an assessee, being an individual or a Hindu undivided family, includes any income by way of interest on deposits in a savings bank account with certain entities. It is proposed to amend the said section so as to provide that the assessee referred to in section 80TTB shall not be eligible for the benefit of deduction under this section. Clause 30 of the Bill seeks to insert a new section 80TTB in the Income-tax Act relating to deduction in respect of interest on deposits made by senior citizens. The proposed new section, inter alia, provides that where the gross total income of an assessee, being a senior citizen, includes any income by way of interest on deposits with a banking company to which the Banking Regulation Act, 1949, applies (including any bank or banking institution referred to in section 51 of that Act) or a co-operative society engaged in the business of banking (including a co-operative land mortgage bank or a co-operative land development bank) or a Post Office as defined in clause (k) of section 2 of the Indian Post Office Act, 1898, a deduction of an amount up to fifty thousand rupees shall be allowed. It is further proposed to provide that where the income referred to in this section is derived from any deposit held by, or on behalf of, a firm, an association of persons or a body of individuals, no deduction shall be allowed under this section in respect of such income in computing the total income of any partner of the firm or any member of the association or any individual of the body. It is also proposed to define the expression “senior citizen”. Clause 47 of the Bill seeks to amend section 194A of the Income-tax Act relating to interest other than “interest on securities”. The said section, inter alia, provides that where the amount of income or, as the case may be, the aggregate of the amounts of income credited or paid or likely to be credited or paid during the financial year by the person, does not exceed ten thousand rupees, where the payer is a banking company to which the Banking Regulation Act, 1949 applies (including any bank or banking institution, referred to in section 51 of that Act); or co-operative society engaged in carrying on the business of banking; or on any deposit with post office under any scheme framed by the Central Government and notified by it in this behalf; or five thousand rupees in any other case, no tax at source is required to be deducted. It is proposed to amend the said section so as to provide that in case of senior citizen, the said interest amount is increased to fifty thousand rupees. It is also proposed to define the expression “senior citizen”. These amendments will take effect from 1st April, 2018.